A visa is a document that allows a student to stay on a particular country for the duration of his/her studies. A visa usually comes in the form of a "sticker" placed on a student's passport. Many countries require students to have a student visa prior to arriving. Because of this, it is important that students research the host country requirements and processes for applying for a student visa. 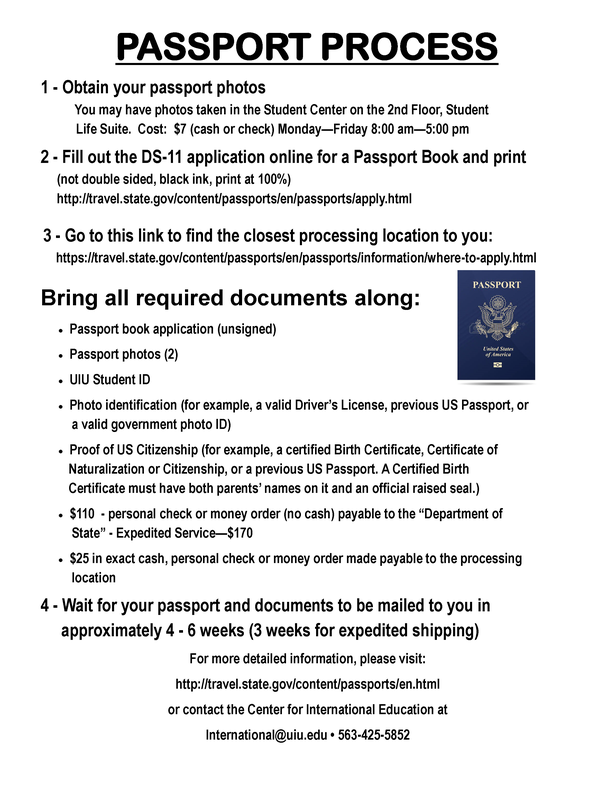 Information about students visas can be found at the host country's Embassy or Consulate's webpage. The Center for International Education will assist and guide students through the visa process as much as possible. However, it is the student's responsibility to apply for and obtain a visa. Please note that UIU and the Center for International Education are not responsible for any visa complications, delays and/or rejections as student visas are issued at the sole discretion of the hos country.